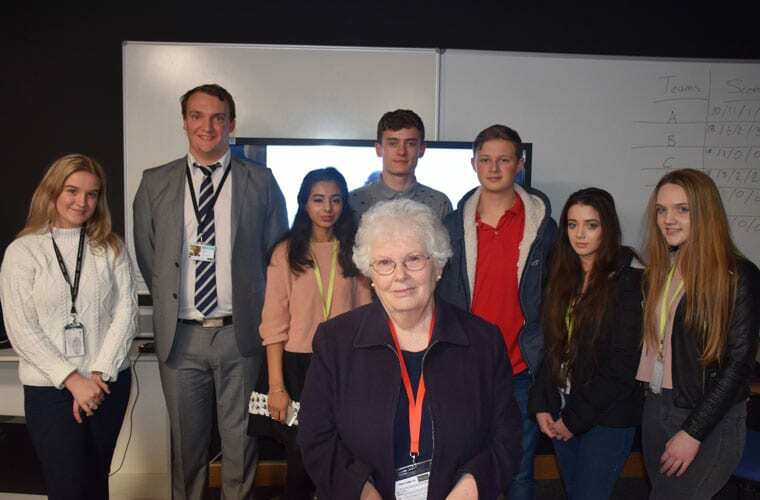 A Level History students at Nelson and Colne College had the opportunity to hear a heart-wrenching first-hand account from a Holocaust survivor. Joanna Millan spoke at NCC about her extraordinary life from her birth in Berlin as Bela Rosenthal in August 1942, to surviving horrendous conditions in a concentration camp, to her courage of later going and discovering her family history. Students expressed how the visit helped in enhancing their classroom studies, and how Joanna’s tale had left them feeling reflective and engaged. Emily Holt, 17, said: “I loved reading about it but it is brought so close to home when you meet somebody face to face. Joanna has been telling her story for 25 years and still feels it is important to continue visiting schools and universities. She said: “It is something that really did happen. 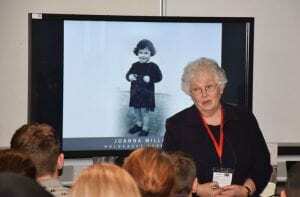 Curriculum Leader for English, Humanities and Languages Ed Fuller said: “We are very grateful to Joanna and the Holocaust Educational Trust for the opportunity to hear her testimony. “We have had the privilege of working with the HET for the past two years and greatly appreciate the vitally important work that they do. “Joanna’s testimony was deeply personal and many students have commented on the impact that this had on their own view of history. “History remains a vitally important subject, offering students the opportunity to discuss and debate highly controversial issues that continue to impact the world to this day.